This custom made bag is amazing. Very durable and love the interior. I gave away this bags at my annual convention to promote my business. The bags were awesome. Super sturdy and very spacious. Great investment for my business. We customized our logo on this bag and it came out great. Thank you Custom Earth Promos. Bring this bag with me all the time to the beach with my kids. 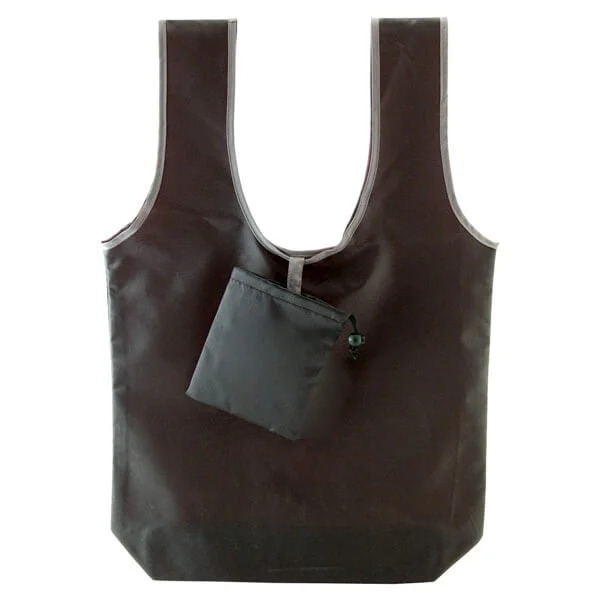 Very durable and long lasting bag. Never had a problem using CEP and continue to shop with them in the future. You have seen this bag before used by kids all over. Its that bag, you wont be upset with this purchase it is a good lunch bag. These bags were great! Love how they are eco-friendly! These reusable foldable Lunch bags have been a useful alternative to paper or plastic. I hope they continue to catch on allowing us to save our earth one bag at a time. Thanks for caring Custom Earth Promos! We sell these in our store its a great back to school or summer camp item. I value this product very much. We liked this bag, I will be a repeat customer. I just received our folding lunch bags with our logo. They look great now we just need to fold all of them and get them ready to hand out at the convention, thanks custom earth for delivering us a great lunch bag! I use this bag every single day for work! I get compliments on it all the time. All the kids get one of these at the start of every school year. The bags last the whole year and parents love them. Every year we print one of the students designs on the bag that we feel best represents our company. Giveaway at summer camp. great item simple and affordable. I ordered 1500 of these bags all are received and in the quality I was expecting. We gave this to all of our laborers, installers, and carpenters as a gift to use to package there lunch. We figured it would be another item that would represent our company logo on job sites. I would say 75% of them use the bag. Good lunch bag, the inside is insulated also which you dont see in these pics. Nice lunch bag for the cost. I would reorder for next year if they last the whole year. They provide me with a lot of solutions for our international logistic problems. I own a food retail store this is a good bag to sell to customers they always have a need for a lunch bag. Perfect lunch bag, you can fit a sandwich, snack and drink in this bag easily. My employees use it all the time. An ideal mode of marketing for your business, Folding Promotional Pouch Totes feature a stylish and foldable design that effectively markets your business in an eco-responsible way. Custom Earth Promos' folding bags are suitable for a variety of purposes and meticulously designed to provide the best quality fabric and optimal brand exposure. Display custom graphics, company logos, slogans or messages to strengthen the reach of your next marketing campaign with these totes that fold into their own attached pouch. These convenient folding bags will be an instant favorite among your customers. Your company graphics, logo or slogan will be on display and quickly become a conversation started in break rooms, lunchrooms, and offices full of potential customers. These fold up bags are an exceptionally cost-effective method to increase your brand exposure and gain attention from your target market. The stylish, foldable design and convenient drawstring pouch attached is suitable for many uses and guaranteed to be embraced for the high-quality elements of sleek design. Add imprints of custom graphics for your business, charity or cause to stand out in the crowd and stay ahead of the competition. 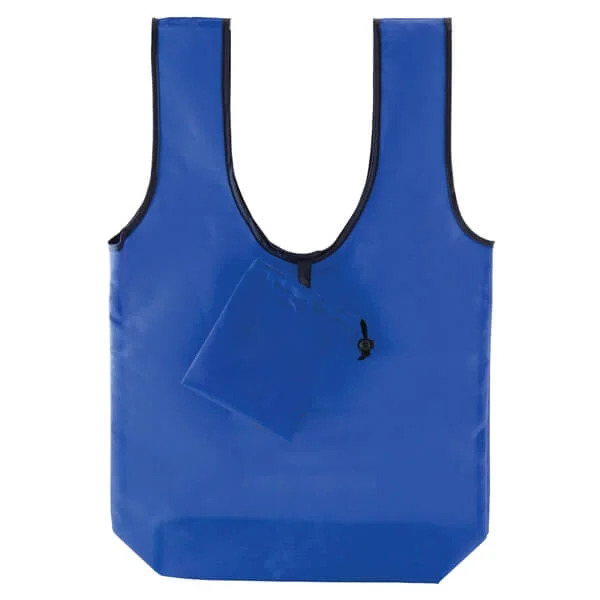 Use custom Folding Promotional Pouch Totes out as promotional gifts at your next industry trade show or provide to employees as a sign of your appreciation and as a thank you to loyal customers. This will help to expose your brand and custom message to as many potential customers as possible. Custom Earth Promos' folding pouch totes are available in four vibrant shades of either black, royal blue, red or teal. Folding Promotional Pouch Totes have a fashionable and multi-functional design with high-quality materials to hold your contents without ripping or tearing. The large size of 23" H x 16" W x 4"D is able to carry multiple items at once and the convenient storage pouch features a drawstring closure. 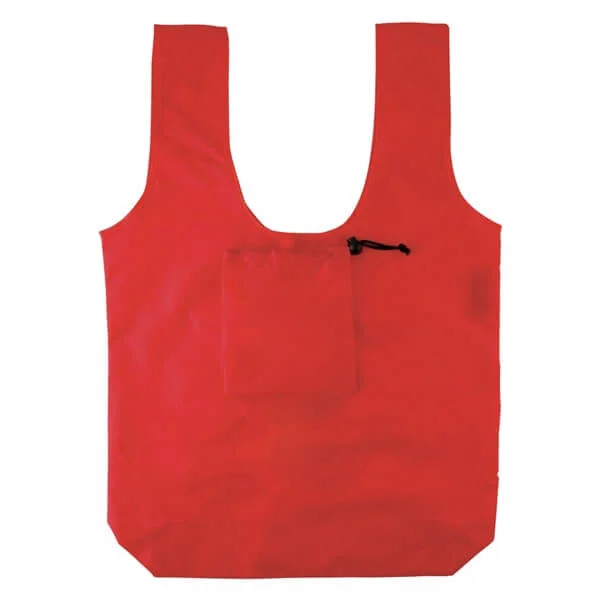 The tote dries quickly protecting food and beverages from the elements and the bag is made with 190 T ripstop polyester, designed to last for years. The handles make the bag comfortable to carry and the secure closure on the pouch ensures that your tote is protected while not in use. Order direct overseas with Custom Earth Promos to fully customize your order of Folding Promotioanl Pouch Totes. Adjust the bag dimension or stitch on additional pockets to meet your specific design goals. 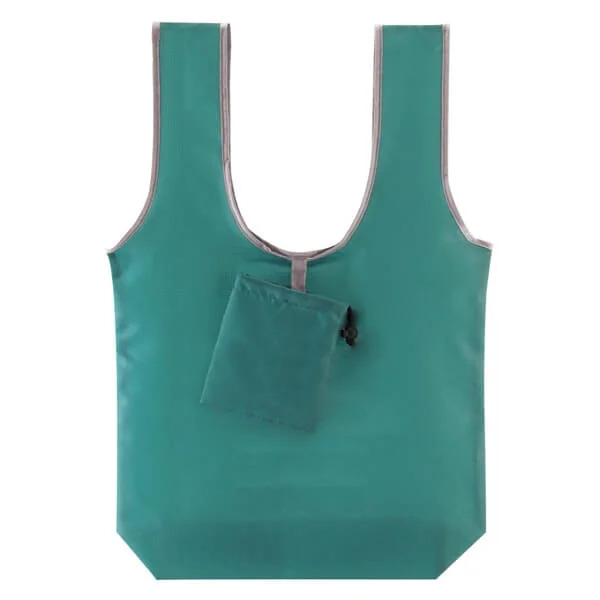 Use a custom fabric or color and increase the material density for added product durability. Opt for edge-to-edge printing for a premium quality imprint. Within 8-12 weeks, you will receive the custom order of promotional bags that truly define your brand identity. You dream up the design and we'll bring it to life!